Nel Whatmore: My First Guest Blog is this Week thanks to Madame Samm! My First Guest Blog is this Week thanks to Madame Samm! 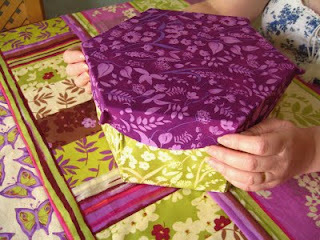 Well I have just finished my first guest blog Madame Samm www.sewwequilt.com/! It will be on Madame Samms blog this Wednesday so go and have a look. There's pics of the International Quilt Festival in Birmingham and news of Sleeping Beauty my second range of fabrics for Freespirit. Here is the link to the full album on facebook. 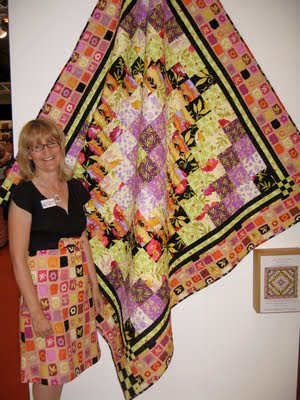 Guest designer with Cotton Patch At International Festival of Quilts. 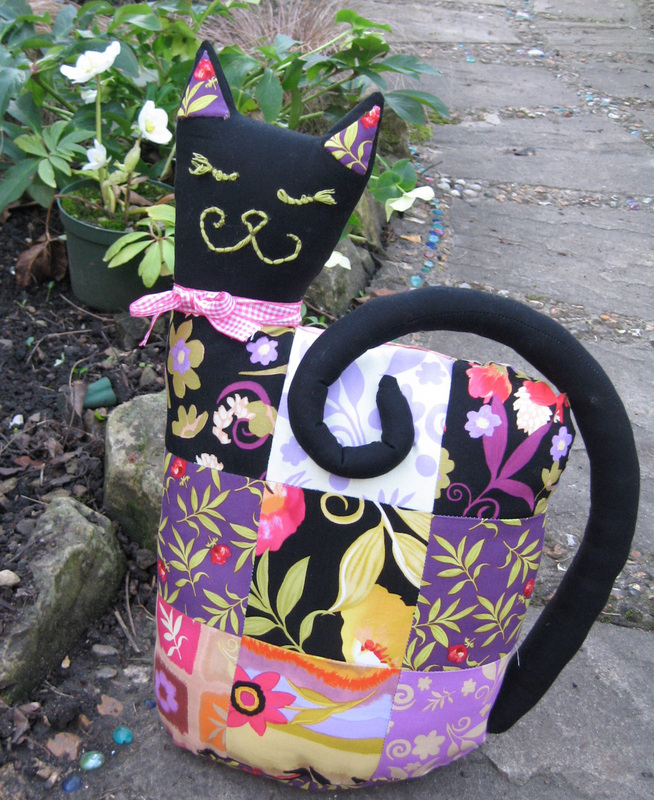 I met so many lovely people at the show thanks to all of you who showed such an interest in Happy Go Lucky and also PLEASE NOTE the Happy Go Lucky Cat Patterns will be available on this link HAPPY CAT and the bag patterns will also soon be on my site . Also look out for the other Happy Go Lucky Cat patterns , Cool Cat and Fancy Cat. Every collection will have it's own cat. Here is a picture of me blending in with it!! 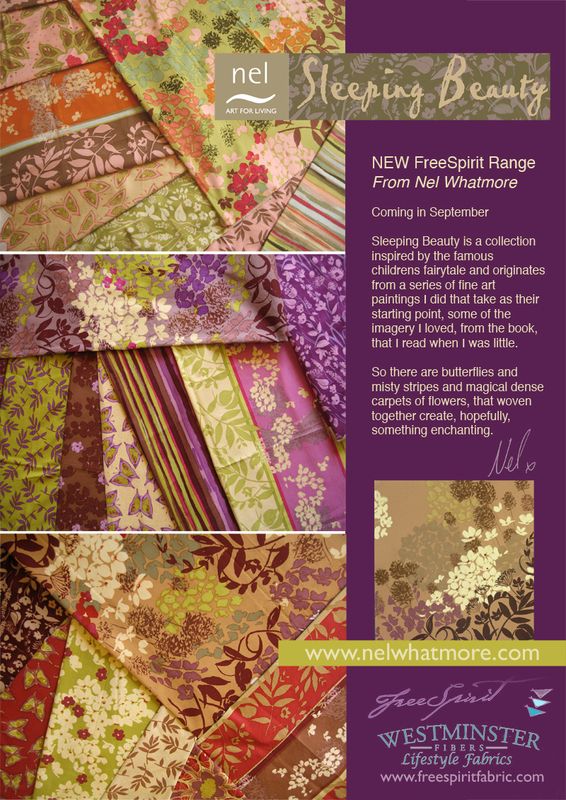 In the mean time my sample Sleeping Beauty fabric has arrived! HelenWrightson who works with me and Hazel Williams ( whose blog is Cottoncocktails.blogspot.com/) and I have been planning the next quilt and it's beginning to come together. We have also been doing Sleeping Beauty Boxes and there will be of course a Sleeping Beauty Cat to curl up on your quilt. I am also looking forward to getting back to my painting this week as it is so long since I have done any. Your post on Madame Samm's blog was fascinating. I'm glad to be a new follower. Found you as the guest on Sewwequilt. Your painting is exquisite. I love the trip around the world in your fabric line. Beautiful. Wow, what an experience to meet the prince. Hi, I just read your post at Sew We Quilt and I love it! As you do, I love colours and flowers, and your paintings are gorgeous - what a gift you have! Your fabric designs are just as wonderful and I will be looking out for your new line when it comes. Oh Nel what a gorgeous blog it was.Love the pattern,LOVEEE the cats,thanks for sharing you have given me such inspiration. Congratulations on you wonderful post with Madame Samm. I enjoyed reading about all that you do. So inspiring. I just adore your use of colour. Everything you do has such a richness about it. Nel, I just read your post over at Madame Samm's and you are a VERY talented lady! I love your flowers artwork! Congratulations on your winning the Princes Trust grant and meeting up with Prince Charles! Keep up the beautiful work! I'm now a follower of yours. I'm a new follower via Wantobe Quilter Campaign. I must say you have some beautiful fabrics!! Thanks for sharing with us today! Nel, you truly do beautiful work - you're so talented! Thank~You Nel for such a Inspiring post over a Madame Samm's!! I am just in awe with your work, just Stunning!! Nel, you are so talented! Your post at Stash Manicure was very inspiring. Your paintings and art are beautiful! I love flowers, too! Oh, your blog is Beautiful! I LOVE the painting you did for Prince Charles! Lucky him! Lucky You! I look forward to Following and can't wait to make one of your cats! Actually, Two! I have 2 cats, Flora and Fauna! Good Morning Nel! I am a new follower of your blog...met you this morning as you were a guest of Madame Samms at Stast Manicure. Your artwork is beautiful. I love the idea of your Sleeping Beauty collection. It will be a hit I am sure! Happy sewing to you as well!! I am a wantobe quilter from Sew We Quilt and wanted to thank you for your guest post! You do beautiful work! Madame Samm has the best guest bloggers. I am now following you! 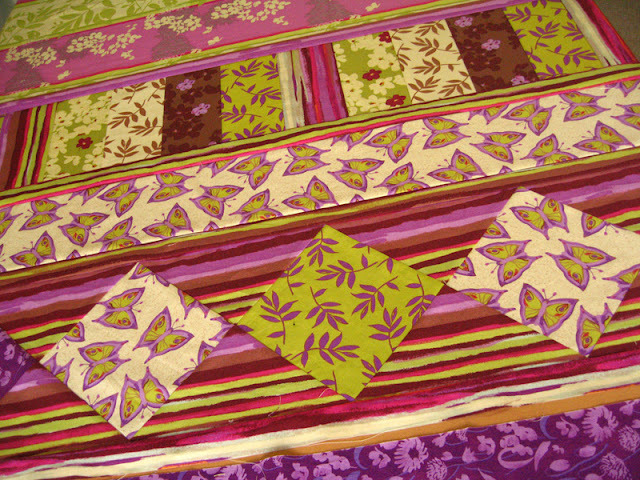 Your 'Happy Go Lucky' fabrics are so rich with color....gorgeous. Your inspiration is endless. Thanks for sharing your beautiful paintings and fabrics. Came from Sew We Quilt. Your paintings are gorgeous and so is that Sleeping Beauty line of fabric! Thank you for your post on Madame Samm's blog. Your paintings and textiles are GORGEOUS! I can't wait for the Sleeping Beauty line to come out. Purple is my absolute favorite colort and I saw lots of it used in this line. I look forward to seeing more about this line as I follow your blog. I just love your fabric collections!! They are gorgeous. Your art work is amazing. 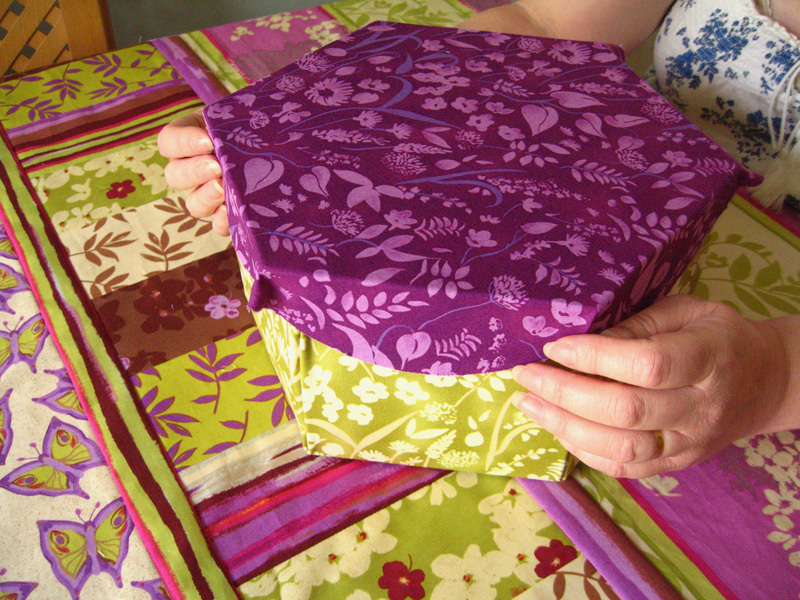 Thanks for the wonderful post at Sew We Quilt!! THank you for being a guest host on Samm's blog. I am completely overwhelmed by your talent. Your paintings of flowers just makes me want to sit in a corner and watch your flowers come alive. New follower. I love, love, love your paintings - of course, flowers are my favorite. I read your guest blog at SEW WE QUILT and enjoyed your article. Sleeping Beauty is gorgeous!